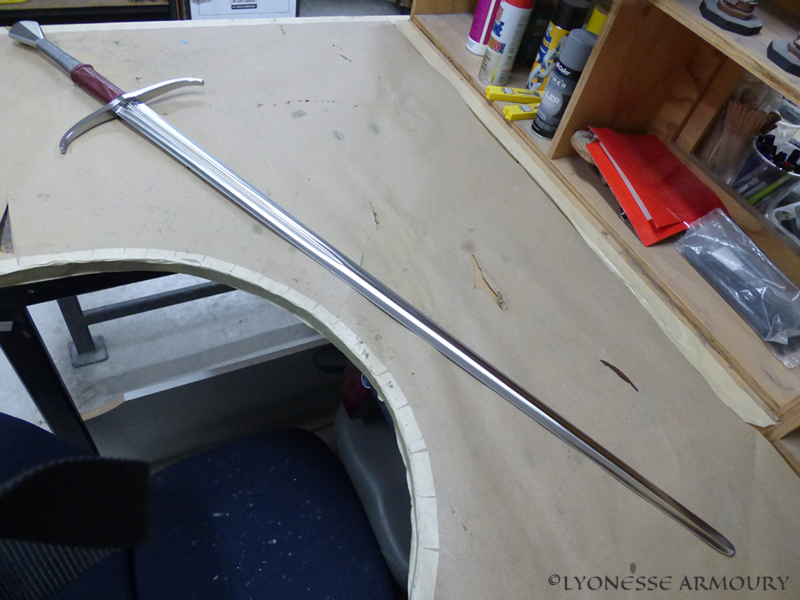 Another Type XVII – I can’t seem to get enough of them! 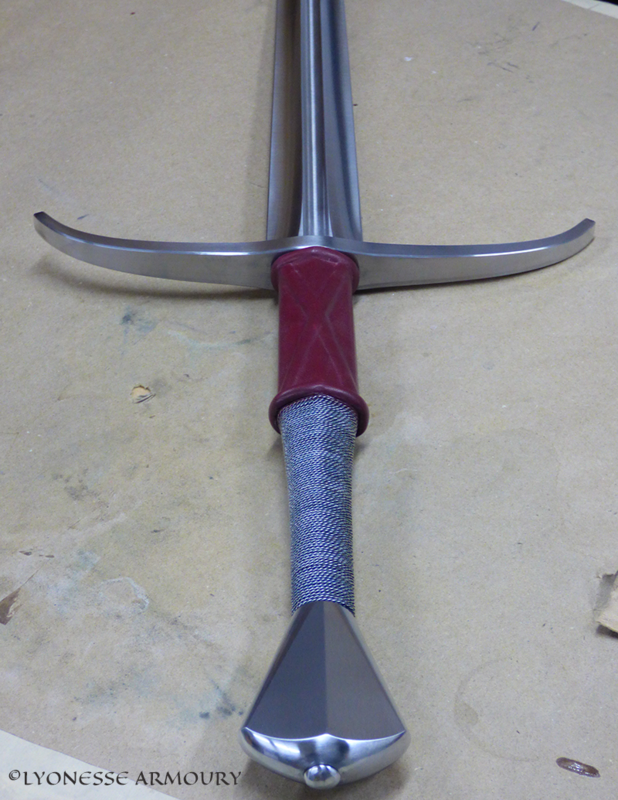 This is based on XVII.1 from Records of the Medieval Sword, modified with a thick blunt edge and rounded tip for reenactment combat, and sized as a two handed sword. 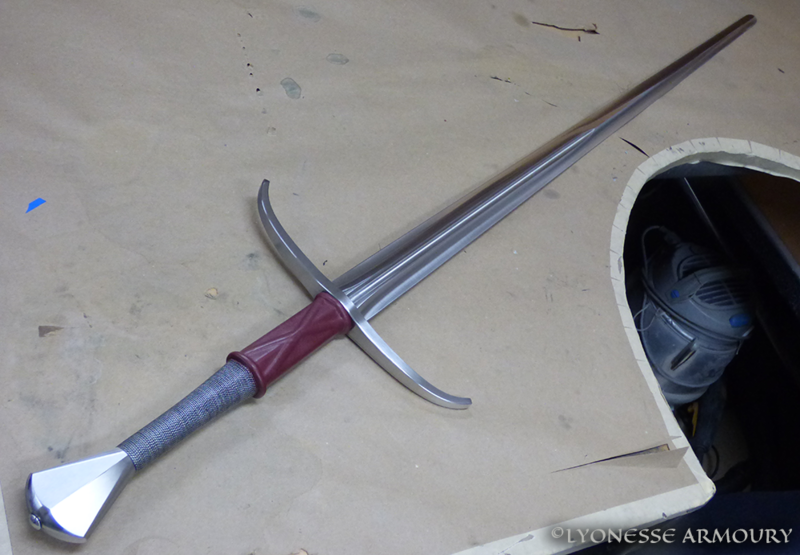 The photo set for these swords is also a glimpse of my work space at Weta Workshop. 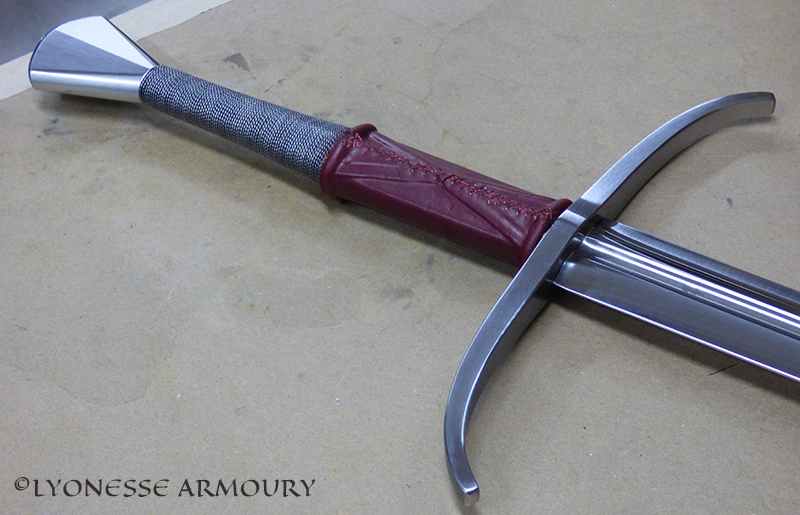 The blade is hollow ground with an edge at least 1.6mm thick, and the cross and pommel are mild steel. 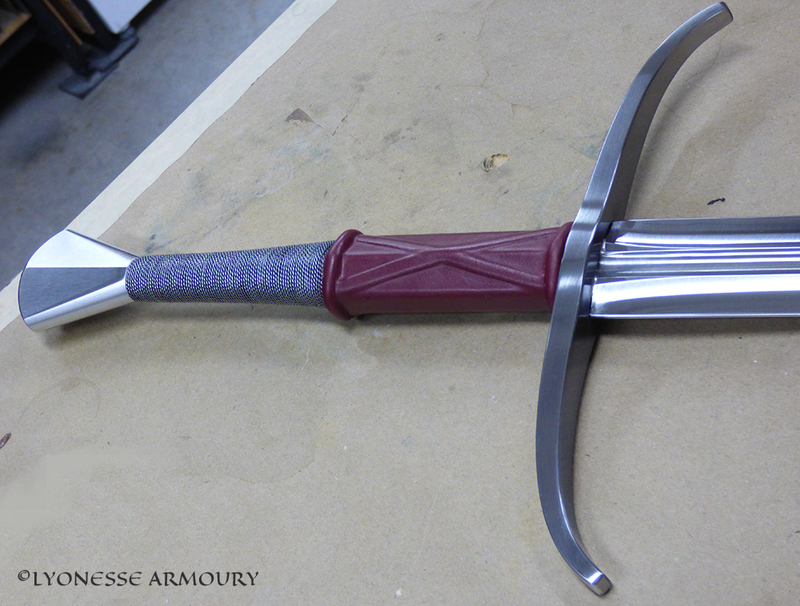 The grip, wooden core with half red leather, half twisted wires, is of a style popular in the 15th century.